Your author email newsletter is one of the best ways to communicate with your readers. But what do you write in order to keep the newsletter fresh and engaging? 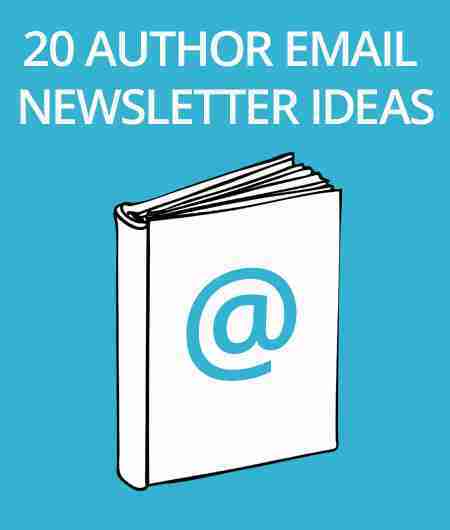 We’ve put together this resource of many great author email newsletter ideas of what to include. It’s important to not be overly promotional in your newsletter – people want interesting information, not a commercial. However, there are things you can send out that will help promote your book and not seem too over the top promotional. There are many things your readers and subscribers will value getting in their inbox each week. Keep it fresh and interesting and you’ll have many happy loyal readers who look forward to opening their email each week! Do you have any ideas for content to include in your email newsletter? Share your thoughts in the comments section below! Great ideas, I’m thinking of starting an author newsletter and this has given me a lot to work with. Thanks for the advice! Very useful.